Though some of the above may not apply to your particular project, it’s still important to break down your crowdfunding goal in this way. Doing so helps to prevent surprises and adds a level of transparency to a campaign. As well, since the goal can be substantiated, supporters understand where their money is needed and are more likely to pitch-in. Once you’ve set a crowdfunding goal, consider the size of your need. Are your expectations realistic? There’s two approaches one can take in answering this question. 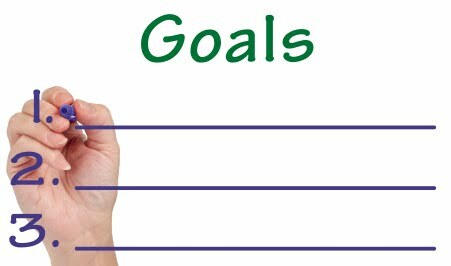 Firstly, if you truly believe your goal is achievable, then begin turning your plans into action! Perhaps, if you achieve your goal quick enough, you can even implement a stretch goal. But if you feel as if your crowdfunding goals are too large, consider funding in cycles. Following up an initial campaign after time has passed can help some projects overcome high expectations. Though this will not always work to one’s advantage, it may be better than the alternative. Running an unrealistic campaign can result in total failure. Furthermore, supporters may be put-off if they do not believe in your goals. Even if you’ve backed-up your project’s financials, if the end result is too large, you’ll need to find a creative approach to obtain the funds you need.